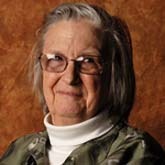 Dr. Ostrom unfortunately passed away on June 12, 2012. As a political economist, Elinor Ostrom studied how institutions—conceptualized as sets of rules—affect the incentives of individuals interacting in repetitive and structured situations. Ostrom and her colleagues at the Workshop in Political Theory and Policy Analysis at Indiana University developed the Institutional Analysis and Development framework, which enables them to analyze diversely structured markets, hierarchies, common-property regimes and local public economies using a common set of universal components. Large-scale studies of urban public economies demonstrated that systems composed of a few large-scale producers of services, such as forensic laboratories and training academies, combined with a large number of autonomous direct service producers (such as crime and traffic patrol) perform more effectively at a metropolitan level than a few consolidated producers. More recent empirical studies in the field and in the experimental laboratory have challenged the presumption that individuals jointly using a common-pool resource would inexorably be led to overuse, if not destroy, the resource. The design principles characterizing robust self-governed resource systems have been identified. An initial theory of institutional change has been formulated and is being tested. Dr. Ostrom's teaching included institutions, society and the environment at Arizona State University. In 2009, Elinor Ostrom became the first woman to receive the prestigious Nobel Memorial Prize in Economic Sciences.